If you’re a mom in her 30s then you’ve probably encountered the direct sales brand, LuLaRoe. Recently my Facebook feed has been overloaded with pop-up shops and online shopping parties for a women’s clothing brand that touts fun prints and comfortable fit. I finally went to a LuLaRoe party at a friend’s house. It was sort of like Avon – my girlfriend hosted a shopping party and a sales rep was on-hand to talk up the brand and get you excited about buying things. If you bring a friend, you save 10 percent! Although I found some cute styles and they were pretty comfortable, it was the price that I wasn’t impressed with. Thirty-five dollars seems like a good price for a skirt, but when I saw the fabric quality and the way they were constructed I concluded it was probably about $1.50 worth of materials and a whole lot of upselling on the part of the sales rep.
One of my coworkers has been sporting LuLaRoe’s Cassie skirt and it looks fabulous on her. It’s essentially a tube of jersey fabric with a wide waistband. And it was pretty dang easy to make! This project took me about 45 minutes from start to finish and it cost me less than $5. Step 1: Determine the stretch of your material. My material was stretchy in both directions but one way was definitely more stretchy. You’ll want the stretchy direction to go side-to-side, around your hips (instead of up and down stretch). 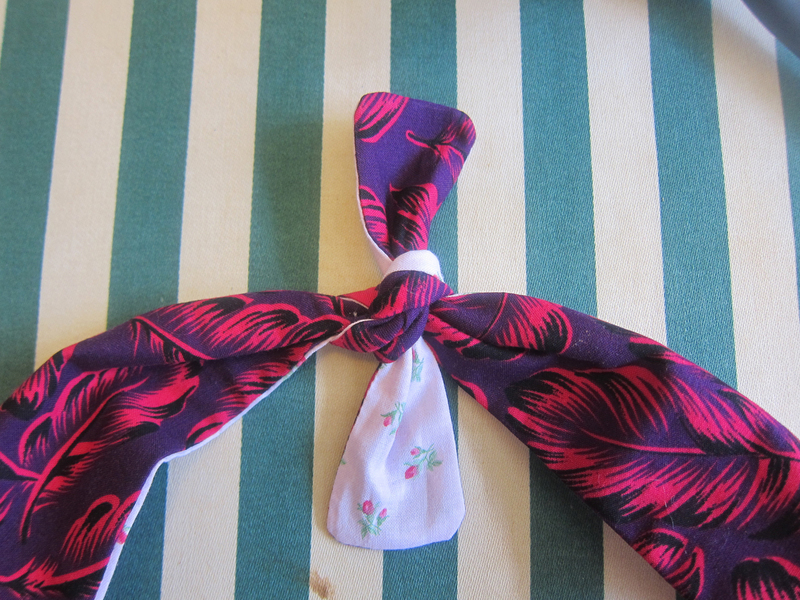 Step 2: Take the fabric and stretch it around your waist. This is how I determined how wide to make my skirt. I marked from the edge of the fabric to where it met when wrapped around my waist once. For me it was 30 inches. 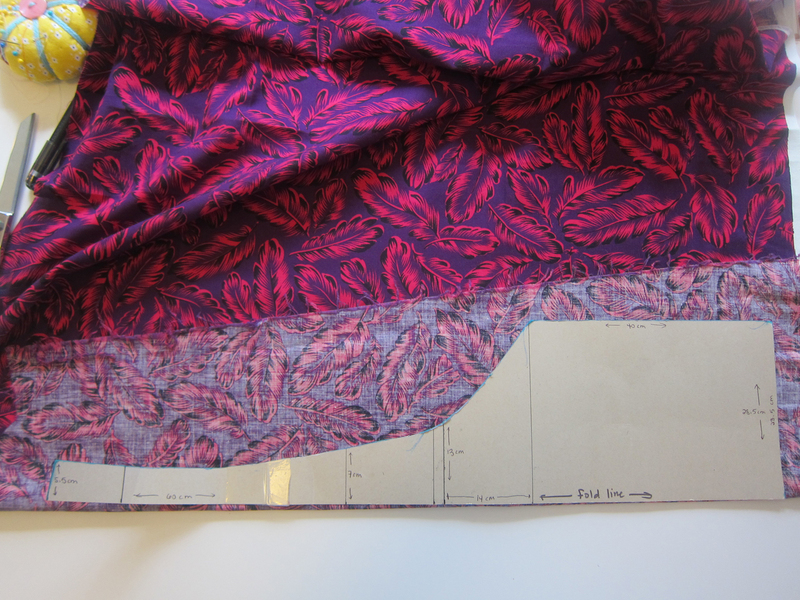 Step 3: Cut a piece from your fabric that’s the measurement you came up with plus 2 inches – for me that was 32 inches. Remember the stretch should be horizontal. Step 4: Fold down the top edge by 7 inches and cut across for the waistband. 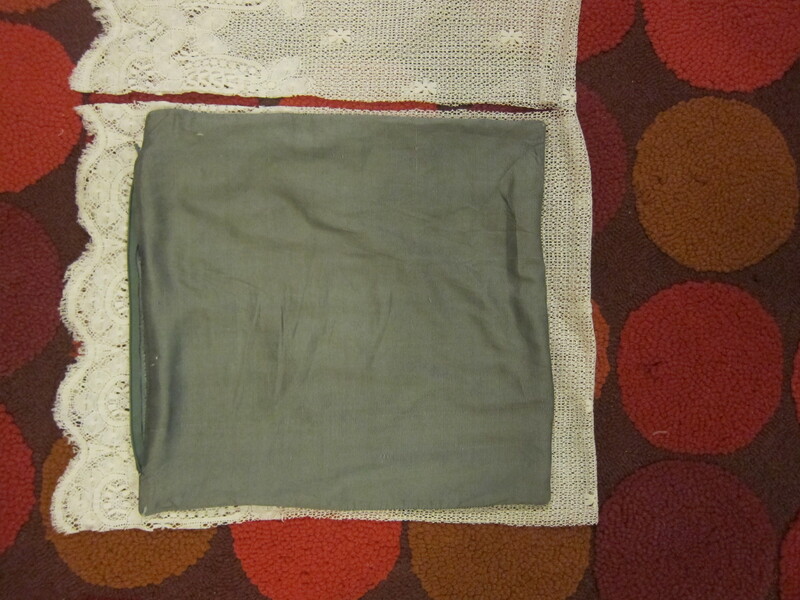 My waistband measured 32 inches long and 14 inches tall (you’ll be folding it in half later). Set this aside. Step 5: Pin your two side edges, right sides together, from top to bottom. 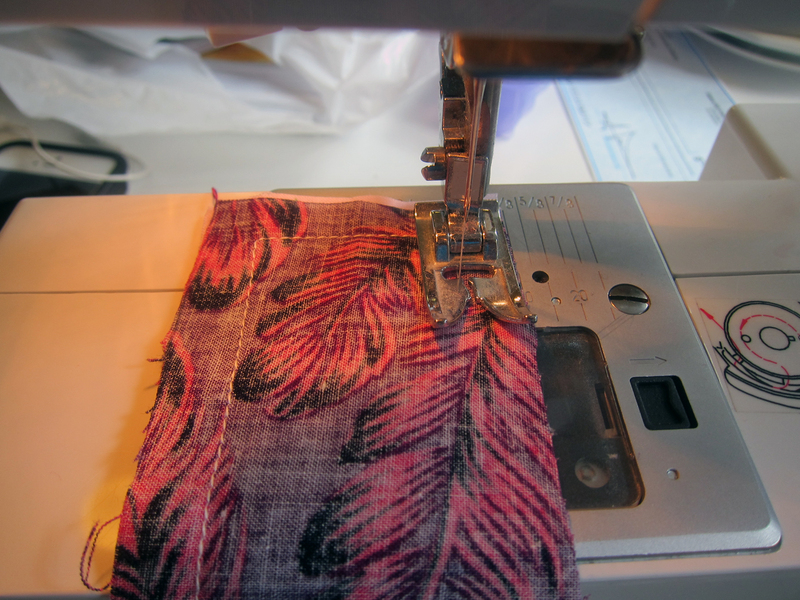 Using a zig-zag stitch, sew with a 5/8″ seam allowance thus creating a tube. It should essentially be a pencil skirt with raw edges on top and bottom. Trim the seam edges. Try on your tube to figure out if you want to trim the bottom. My skirt hit just above my knees, which is what I wanted. Bottom edge of skirt, pinned with 1/2-inch hem. Step 6: Determine the bottom of your skirt and inside out, pin up a 1/2-inch hem. Sew around starting at the side seam with a straight stitch using a 3/8″ seam allowance. Turn right-side out. Waistband sewn together at the side. Step 7: Take your waistband and pin the side edges together, right sides together. 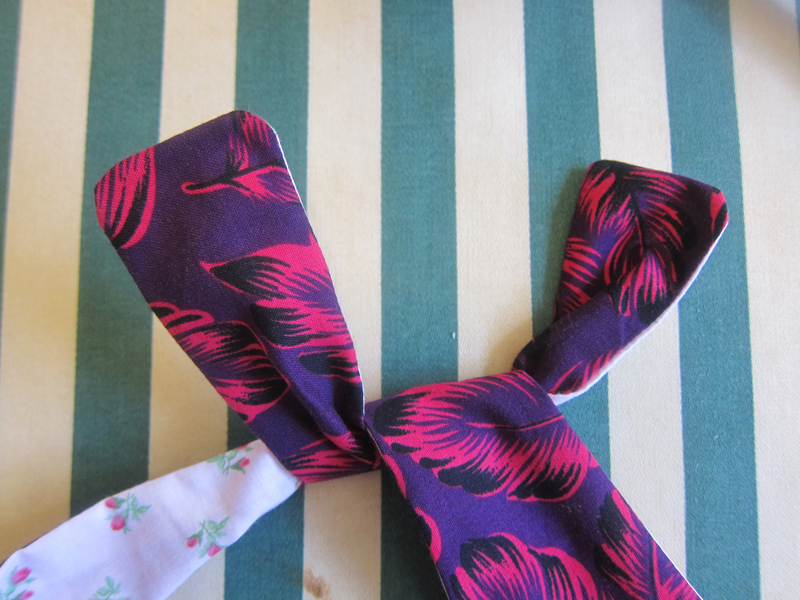 Sew using a zig-zag stitch with a 5/8″ seam allowance. Trim seam edges. Waistband is inside-out and placed over the top of the skirt, which is right-side out. 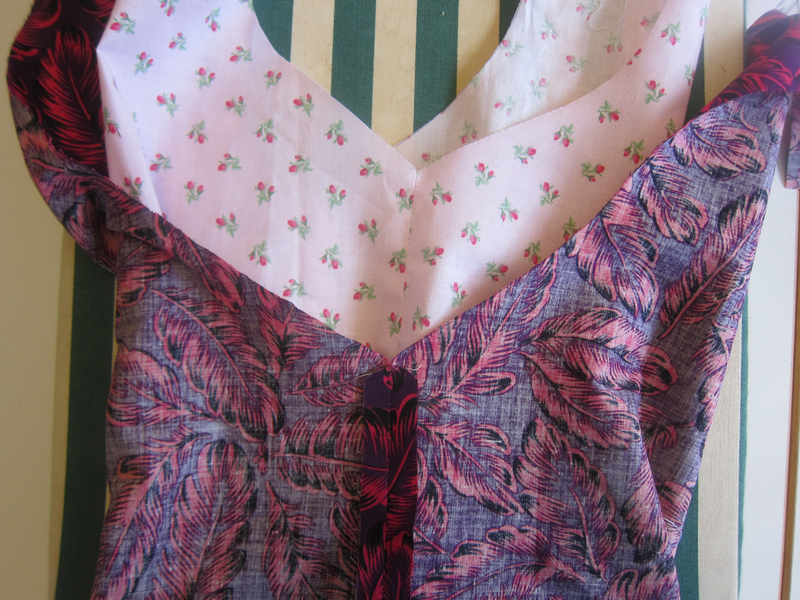 Step 8: Keep your waistband inside out and place it over the top of your skirt (which is right-side out). Pin the top edge of the waistband to the top edge of the skirt. 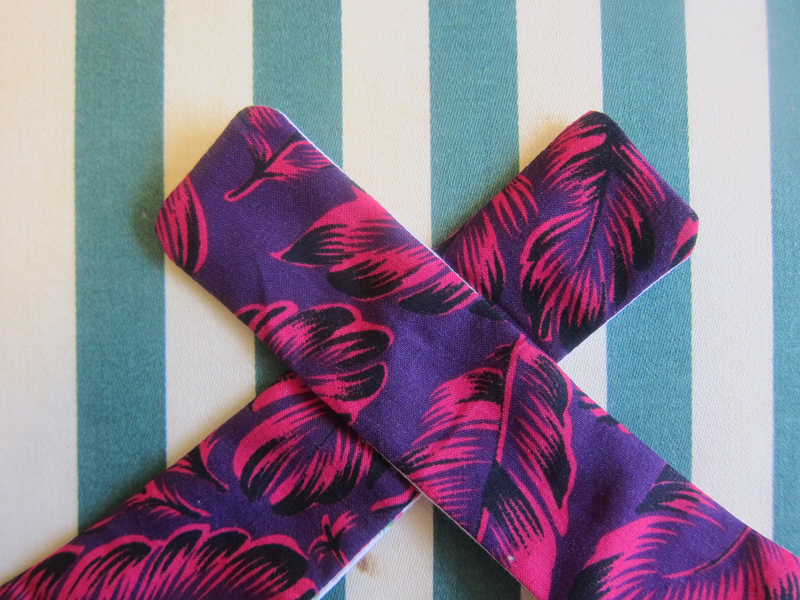 Sew using a zig-zag stitch with a 5/8″ seam allowance. 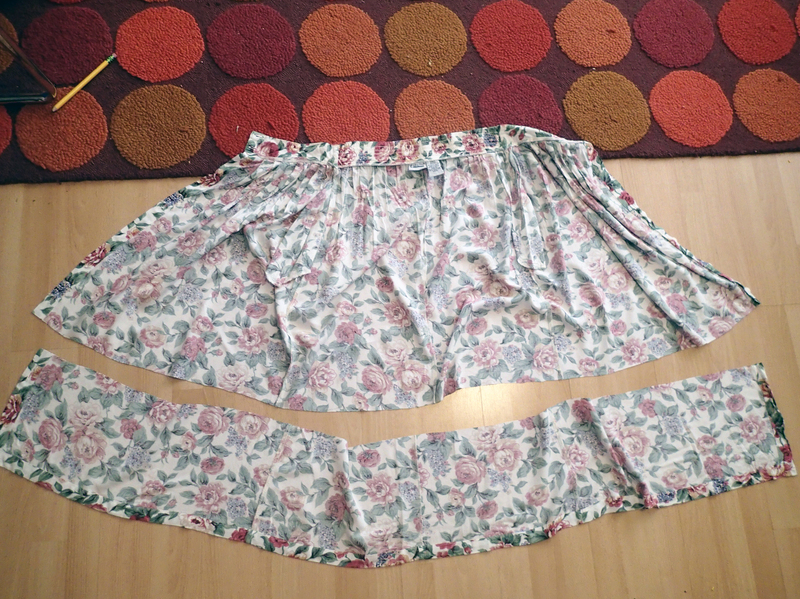 Step 9: Flip the waistband up and fold in half so the raw edge is now inside the skirt. Turn inside out. 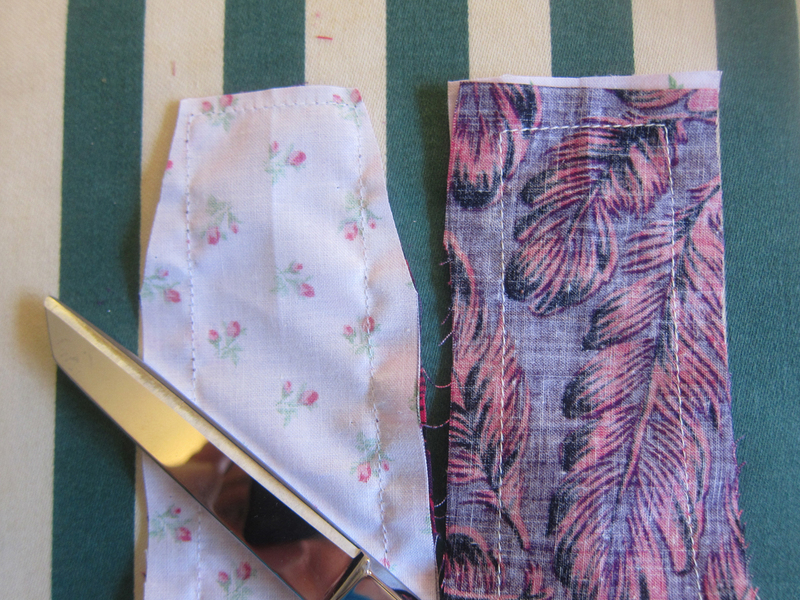 Step 10: Pin the raw edge of the waistband to the seam you just made. You’ll be pinning through three layers of fabric. Sew a zig-zag stitch just next to the stitch you made before. 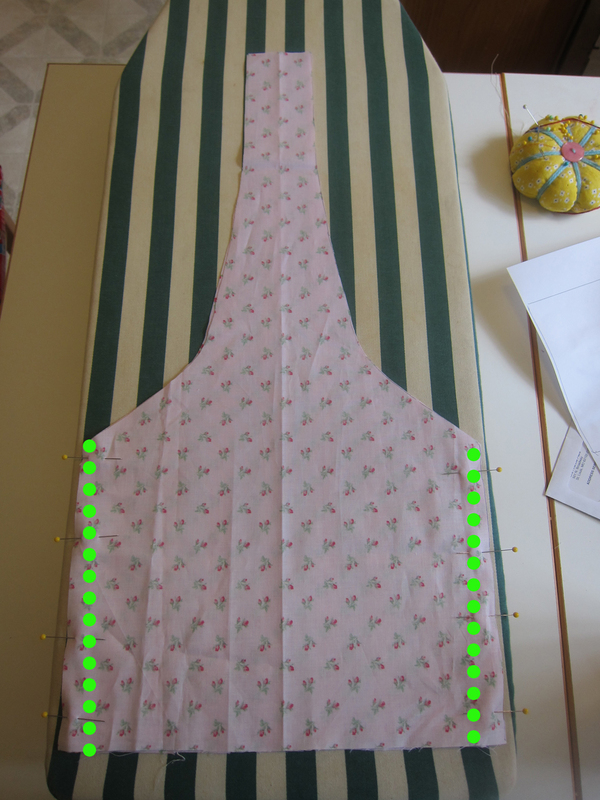 This will ensure the seam you’re currently making won’t show on the outside of the skirt. This stitch is made adjacent to the first waistband seam. This ensures it doesn’t show on the outside of the skirt. Step 11: Turn right-side out and you’re done! The waistband is extra tall, so either wear it that way or fold it down to create more tummy control. Sewing is by no means my greatest talent. My mom taught me to sew at a young age, but that doesn’t mean I like it. 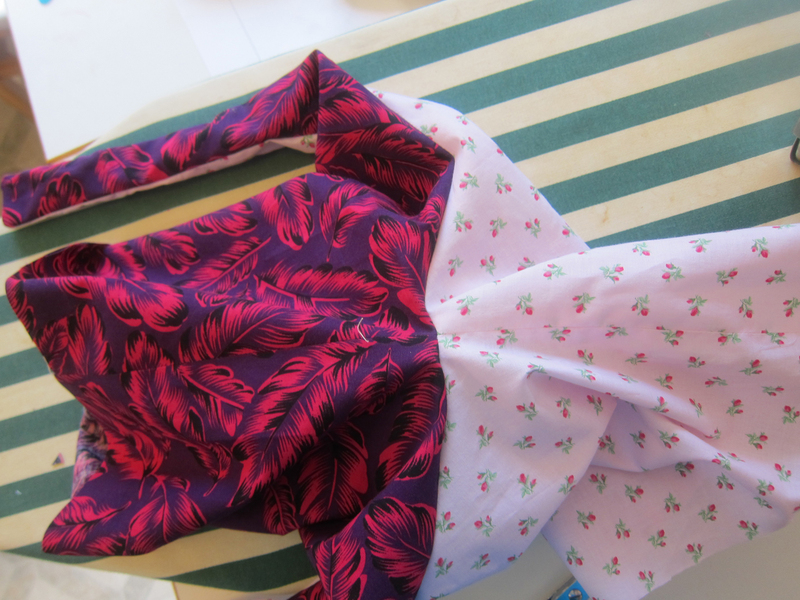 It’s time consuming to cut out a pattern, cut out the fabric and take out the sewing machine. If I’m going to sew something it’s got to be a two-hour-or-less project. I love the concept of refashioning clothes; i.e., taking an article of clothing and turning into a different article of clothing. Refashionista is pretty much my sewing/thrifting idol and she’s incredibly cute. Lately I’ve been noticing gigantic church-lady linen dresses at the thrift shops. My mother loves linen dish towels because they are lightweight and absorbent. I thought about purchasing a linen dress and cutting it into dish-towel rectangles, but the concept didn’t really excite me much. Last week I saw a lovely linen apron at Anthropologie. I had an “I can make that” moment. 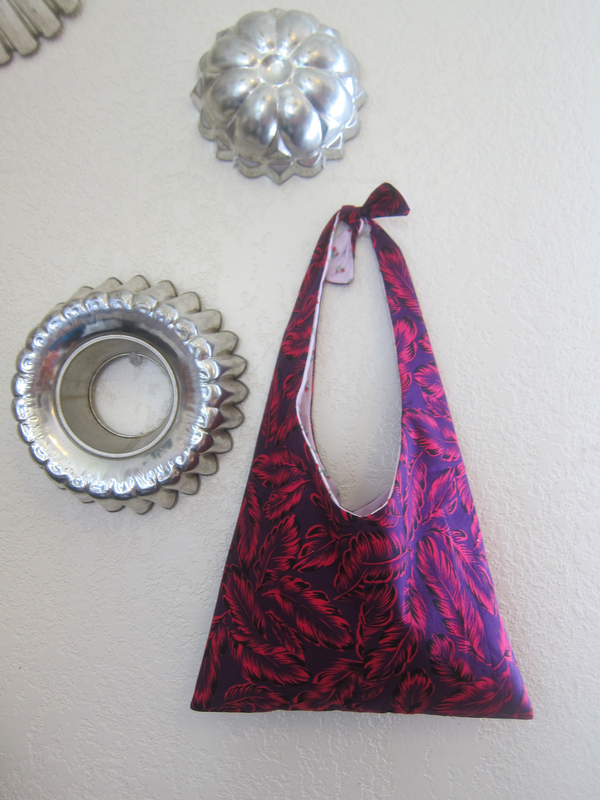 I figured an apron was a great way to refashion an old dress. 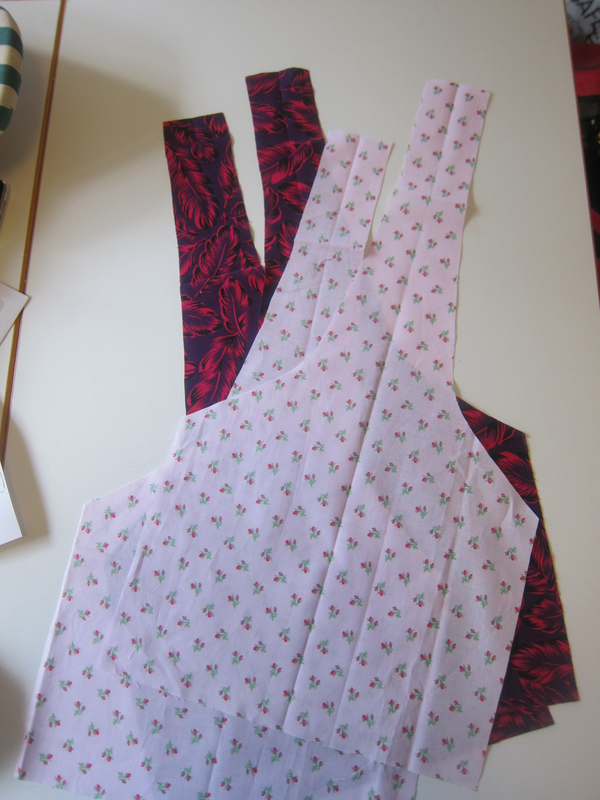 Years ago I made an apron for my sister and managed to write down the pattern measurements. I have included that pattern in this tutorial. Keep in mind my sewing skills are far from elegant so I’m sure some of you could come up with a prettier apron, but I’m satisfied with what I ended up with and it only took two hours from start to finish. 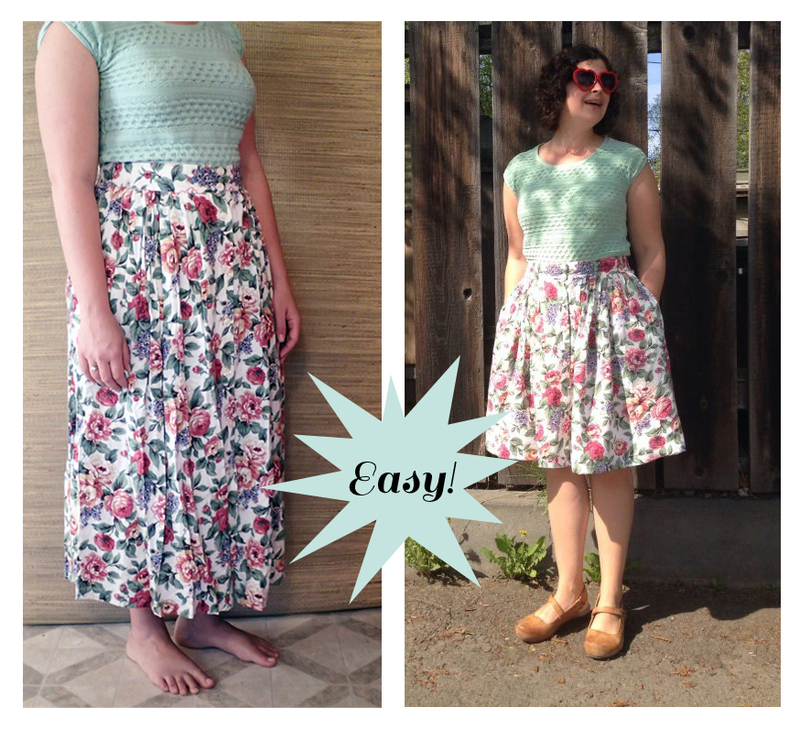 Be sure to check out the bottom of this post for more clothing refashion tutorials I’ve done over the years. 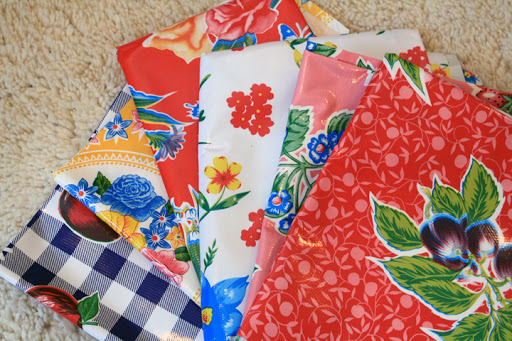 Every time I travel to Mexico I can’t resist buying a meter or two of brightly colored oilcloth. You see it everywhere down there, mostly as cheerful tablecloths. I use it for just about everything. 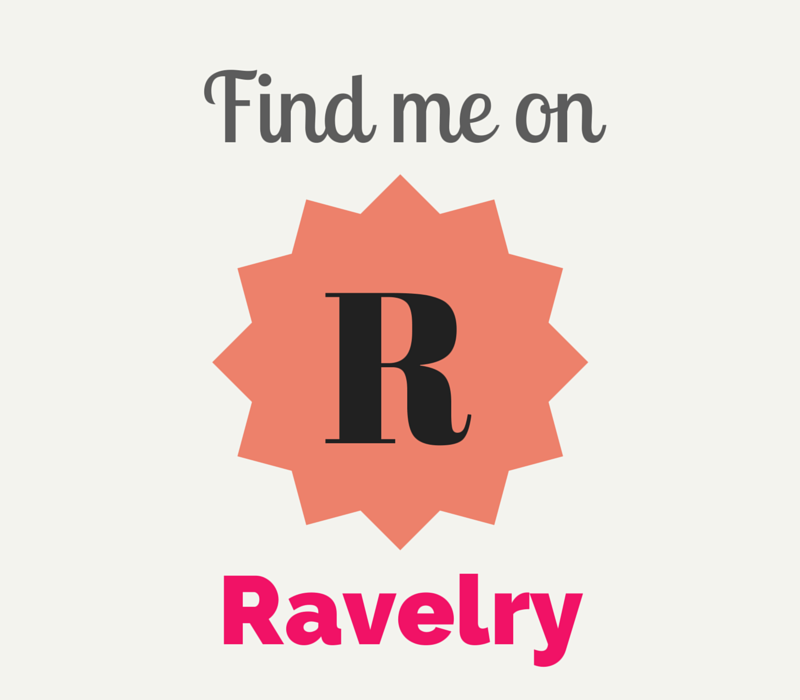 I cover cans with it, I reupholstered my dining chairs and I love to use it for coin purses. 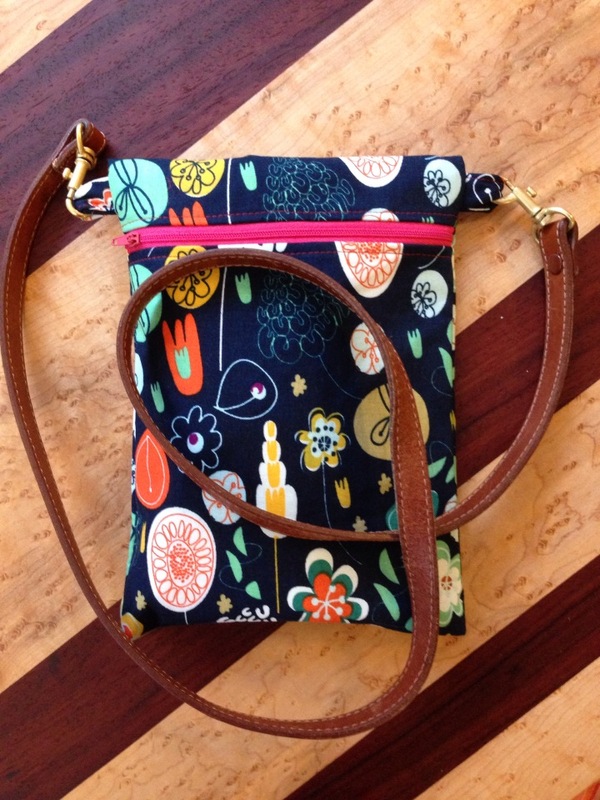 I have a simple pattern for my coin purses. 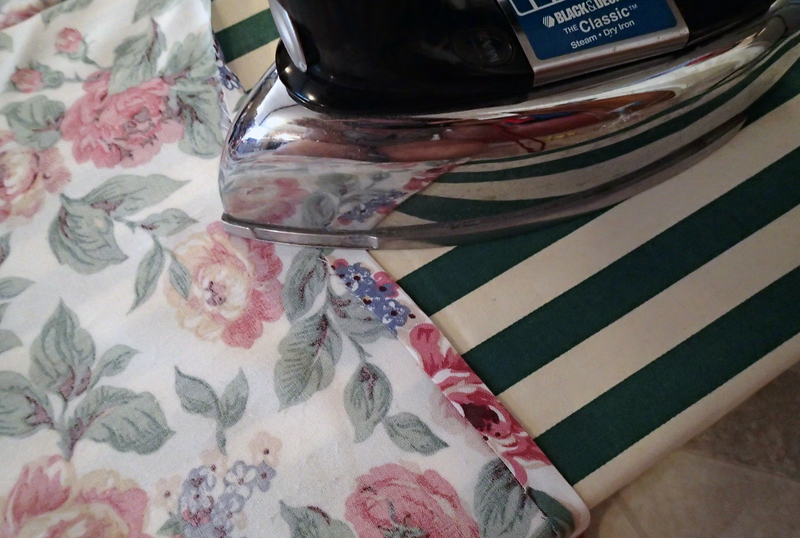 You could use any fabric you like, but since the oilcloth is so thick I don’t have to use any stabilizer. 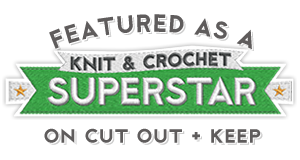 That cuts down on project time, which is good because I have a really short attention span for sewing. 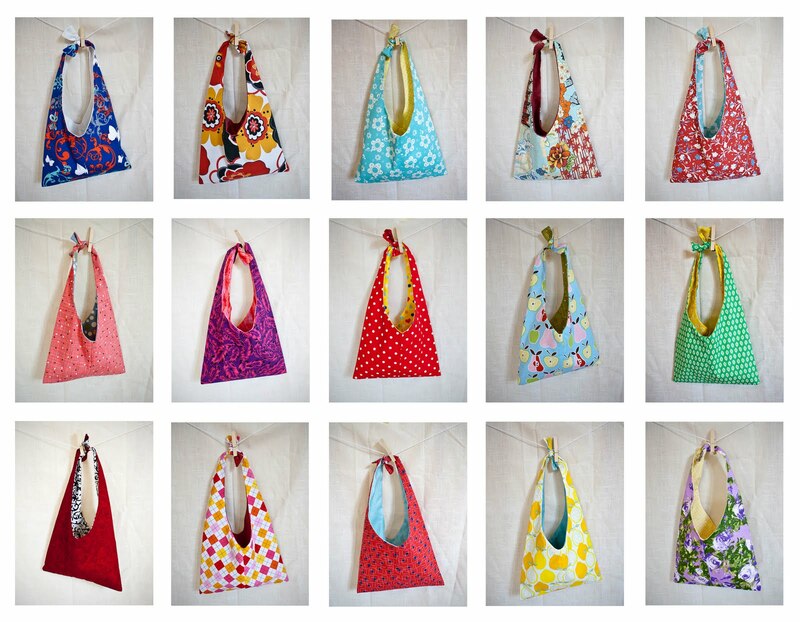 A few years ago I went sewing machine crazy and sewed a couple dozen Tokyo tie bags. 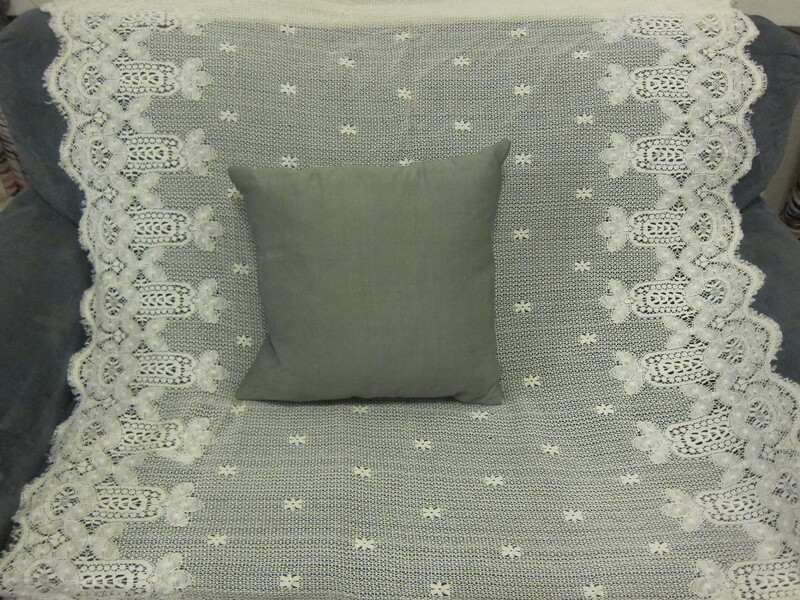 I was inspired by a pattern on Darling Petunia’s blog. I never got around to posting my own pattern because I was too caught up in sewing them. My pattern, which I tweaked slightly from Darling Petunia’s, sadly sat in my craft pile for a few years until someone from Mexico emailed me last month and asked if she could buy one. 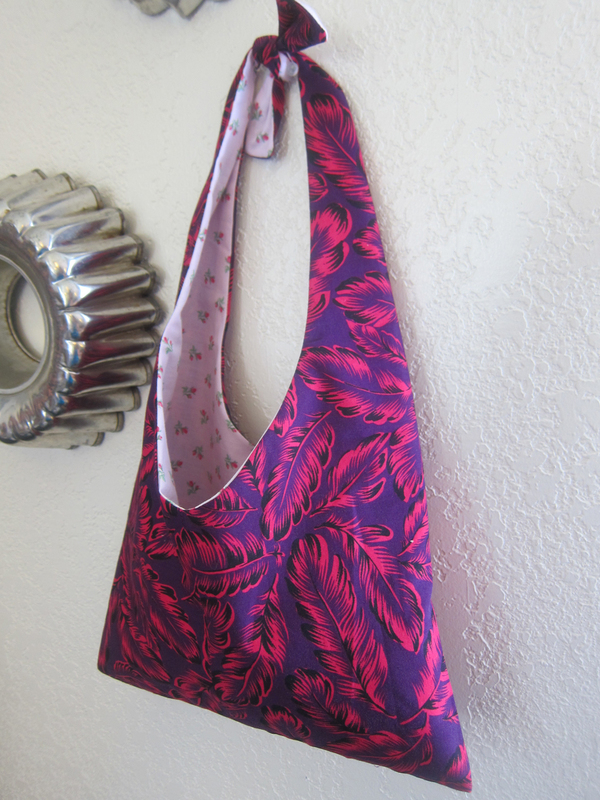 I sewed it, shipped it and was reminded how easy and fun it was to make. So here I am, three years later, ready to offer a full tutorial and pattern for the Tokyo tie bag. I hope you enjoy making them as much as I do! 1. 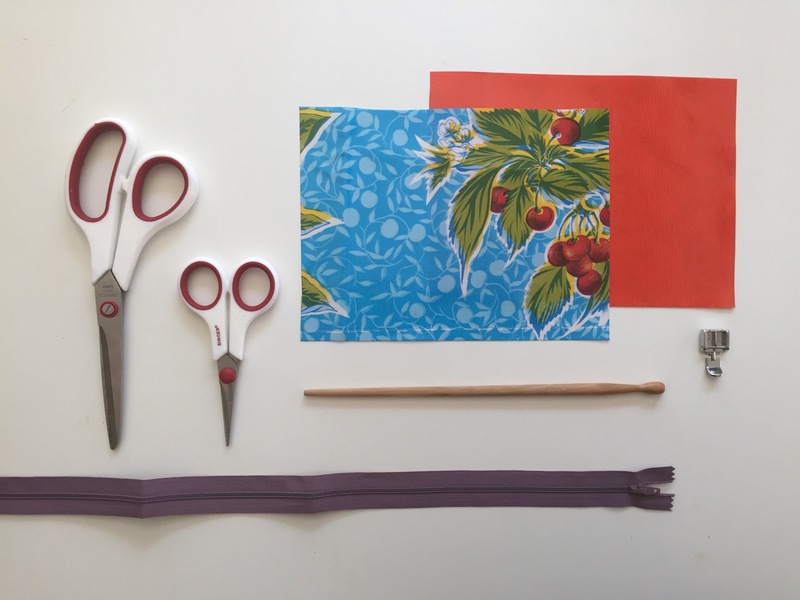 Iron your fabric and cut out two pieces of the pattern from the lining and outer fabrics. If your fabric is directional (meaning it looks different upside down) be sure you cut your pattern so the bottom of the pattern is on the same edge for both pieces. You should have four pieces. 2. 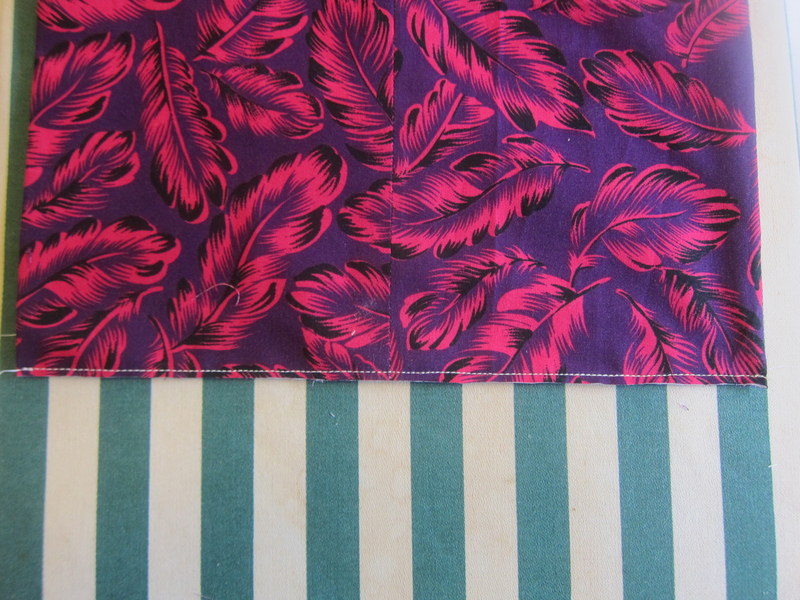 With right sides together, sew each edge of the lining with a 3/8 inch seam allowance. Repeat for outer fabric. 3. Iron open the seams. 4. 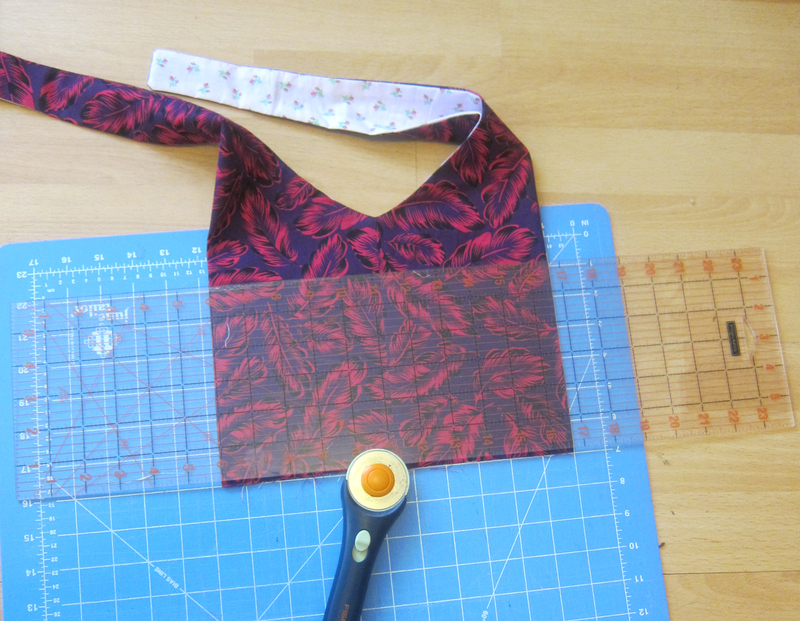 Turn your lining right side out and slip it inside the outer fabric. 5. Make sure the seams from the outer and lining fabrics match up in the middle and pin all around the top edge and handles. 6. Sew all around the top edge, along the handles and back down again. 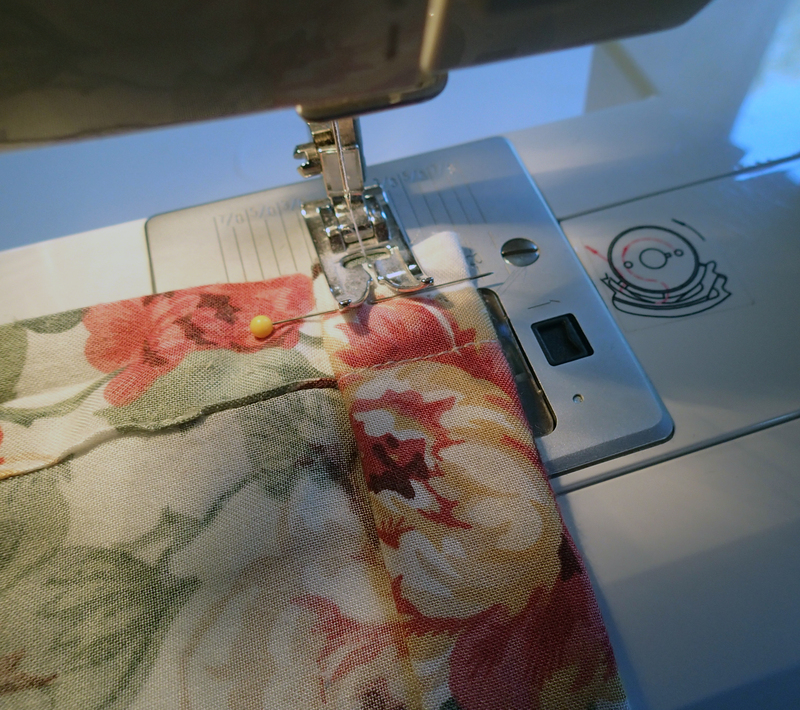 Your seam should end at the same place you began as you’ll be sewing in a giant loop. 7. Trim the corners of the handles so there is less bulk. 8. Cut notches at the center curves so the seam will be more smooth when turned right-side out. 9. Turn the bag right-side out and use a chopstick to push out the handles. Stuff the lining down into the outer fabric. It should now look somewhat like a bag but with the bottom unfinished. Iron the whole bag flat. 10. Lay the bag flat so the side seams are now in the middle. 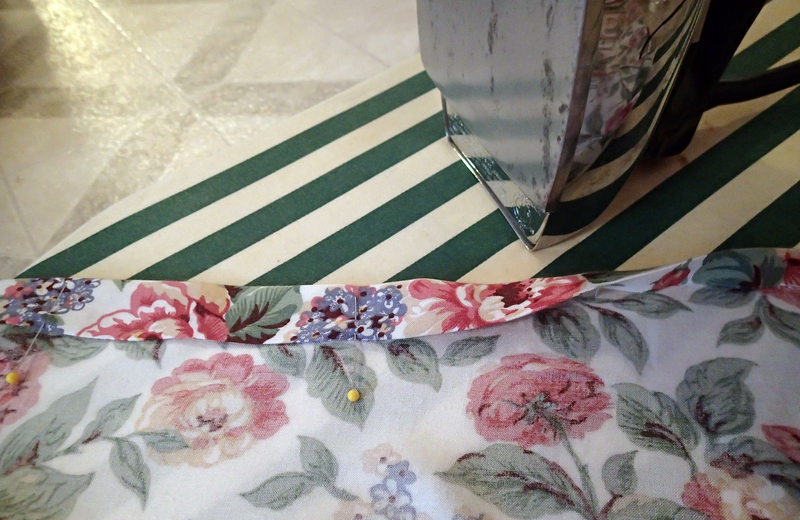 Make sure these seams line up on the bottom and then iron the bag flat. 11. Using a rotary blade, cut the bottom edges of the bag so it’s all even. Sometimes things just aren’t lined up well and a good fresh cut will make it turn out better. This step is optional. 12. 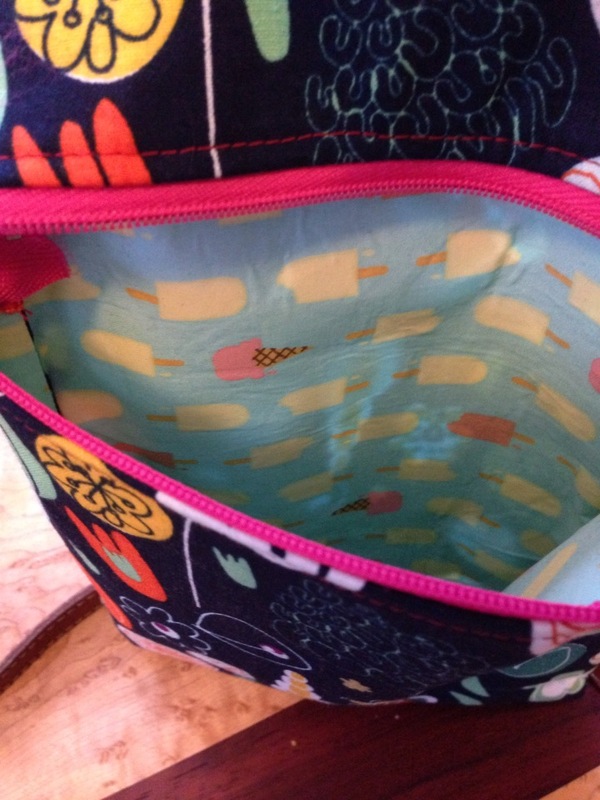 With the bag right-side out pin along the bottom edge, starting at the center seams so they line up on both sides. 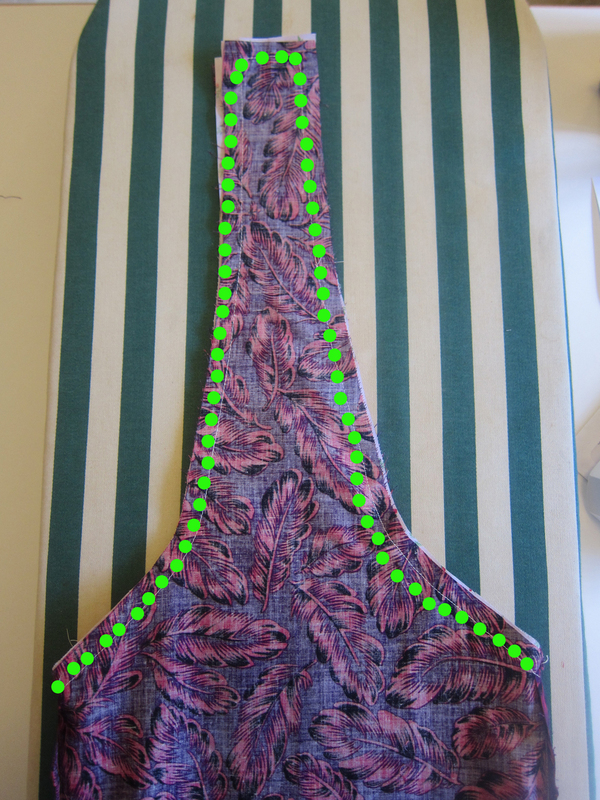 Sew along the edge with the shortest seam allowance possible. 13. Trim closely along this seam and turn inside out. 14. 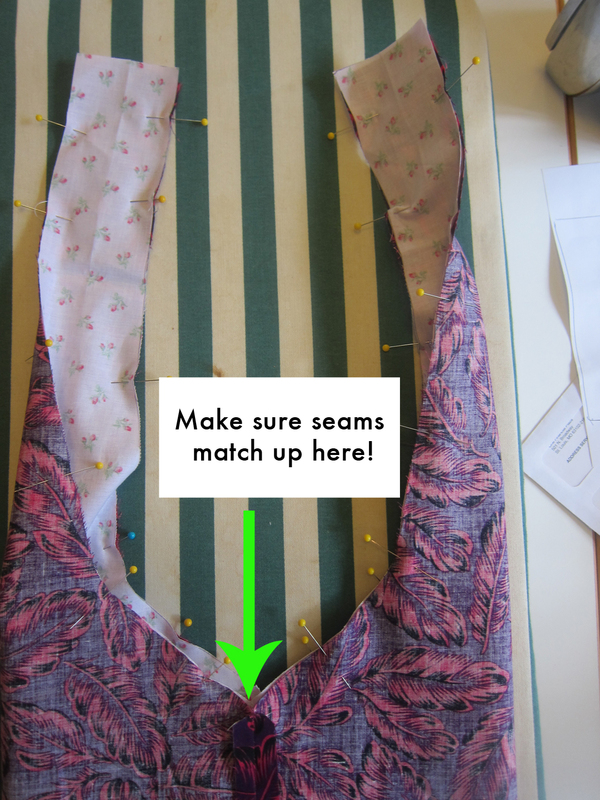 Pin the now sewn shut bottom edge again and sew a new seam with 1/4-inch seam allowance. You have now created a French seam. Hurrah! 15. Turn your bag right-side out and iron one more time. 16. Join the two handles by tying a square knot. 17. Admire your work. You’re a super sewer! Floral prints are all the rage these days and I’m always finding skirts at the thrift store that have pretty patterns, but they are just too long for my stumpy legs. You’ve probably come across these types of skirts — they are from the ’90s, ankle-length and look as though a church lady might wear them. 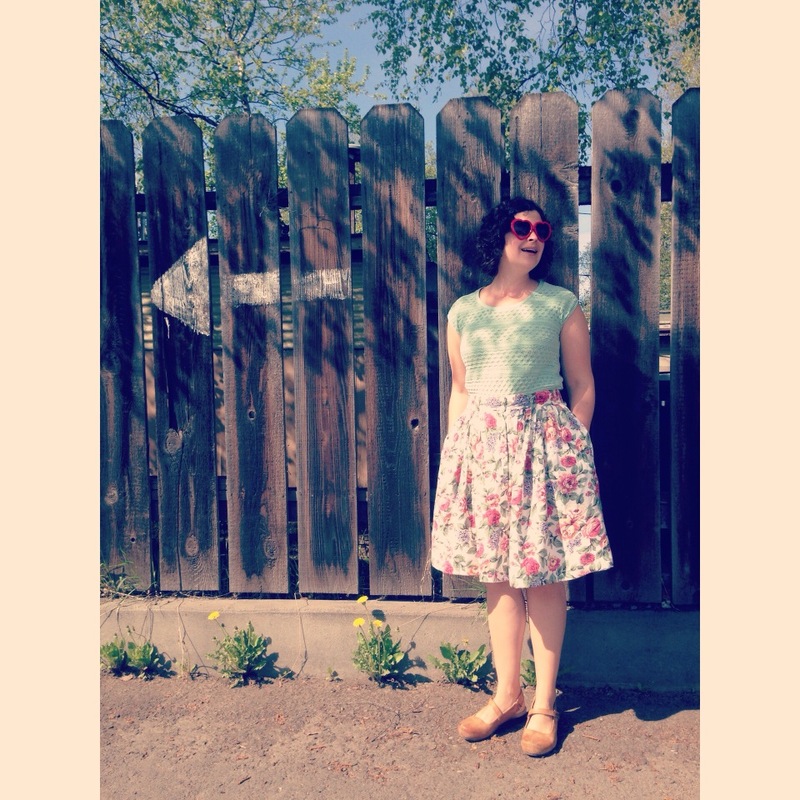 If you have basic sewing skills it’s pretty simple to shorten a skirt to a more youthful length. It only took me 45 minutes and I went from bake sale mom to hipster mom for $2.50. You can too! Step 1: Iron your skirt if it needs it. Step 2: Determine how much length you’d like to cut off. I wanted the skirt to fall just above my knees, which was about 10.5 inches from the original hem. I subtracted 1.5 inches to account for the new hem. For me, 9 inches was how much I needed to remove. 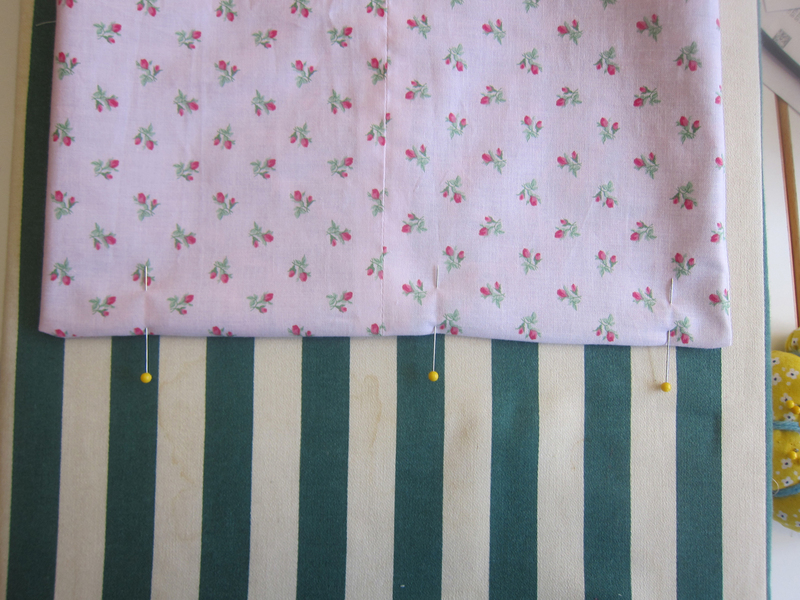 Step 3: If your skirt has buttons down the front, unbutton it and lay it flat, wrong side up. With a ruler and chalk or pencil go along the bottom of the skirt and mark 9 inches all around. I didn’t do this accurately at all and it still worked out fine. My skirt had a slight arc to it so I eyeballed it here and there. Step 4: Cut along the measurement lines you made. 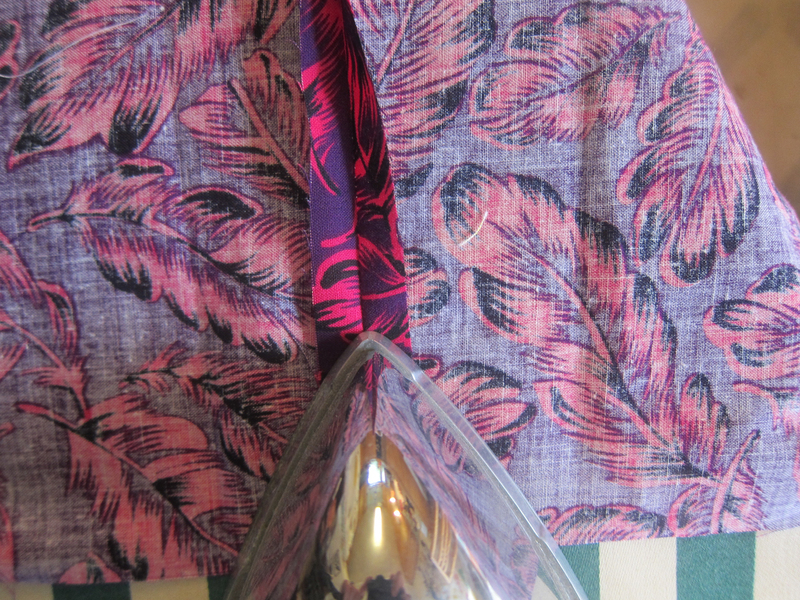 Step 5: With your iron, turn under 1/2 inch from the edge all across the skirt. Step 6: Turn under 1 inch all around and iron down, pinning as you go. *NOTE* if your skirt buttons in the front, make sure your ends match in the front. Mine were really off so I had to re-iron and eyeball it till it worked. Doesn’t need to be perfect, especially if it’s a flowing skirt. No one will notice if the back is slightly shorter than the front. 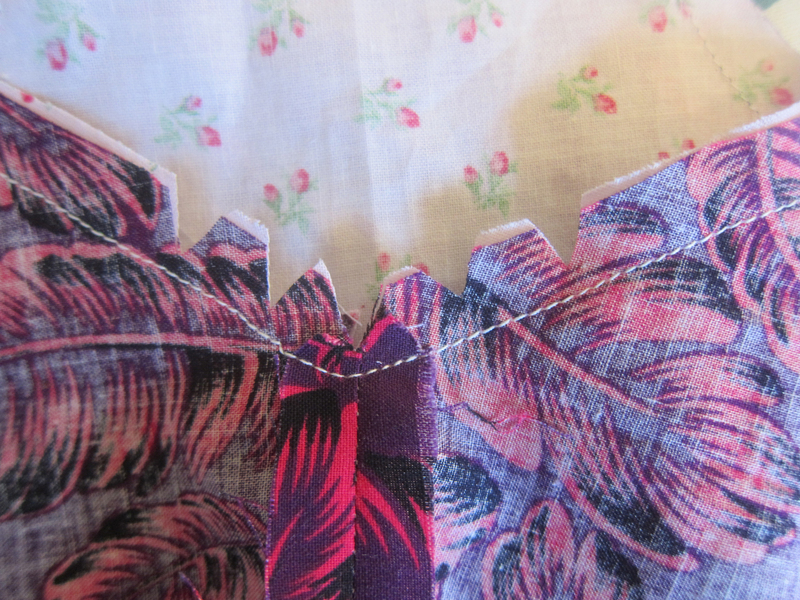 Step 7: Sew a seam along the hem 3/4 inches from the folded edge, backstitching at the beginning and end. Step 8: Trim all threads and run an iron along the hem one last time. 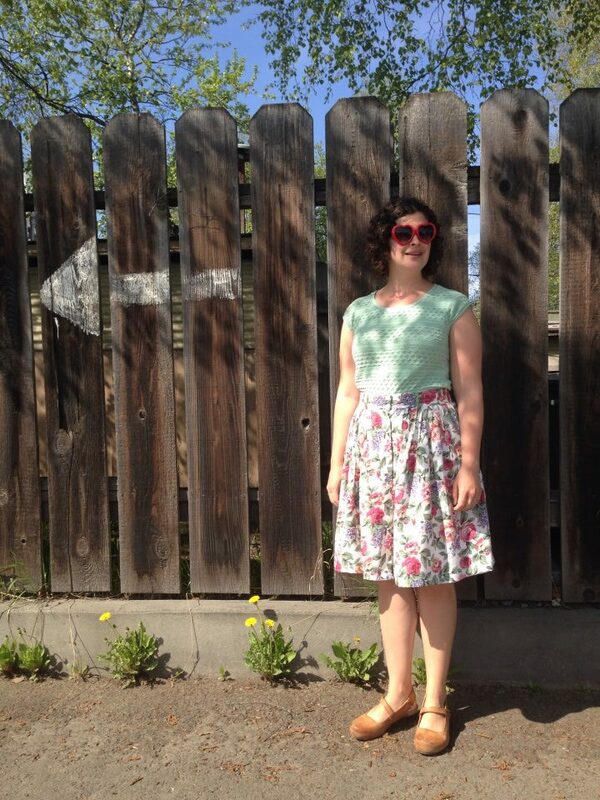 Step 9: Put on your skirt and admire your crafty awesomeness. Our living room throw pillows needed an upgrade. At $20-30 a pop, I wasn’t about to buy two new ones, so I dug through my fabric stash and found an old lace curtain panel. 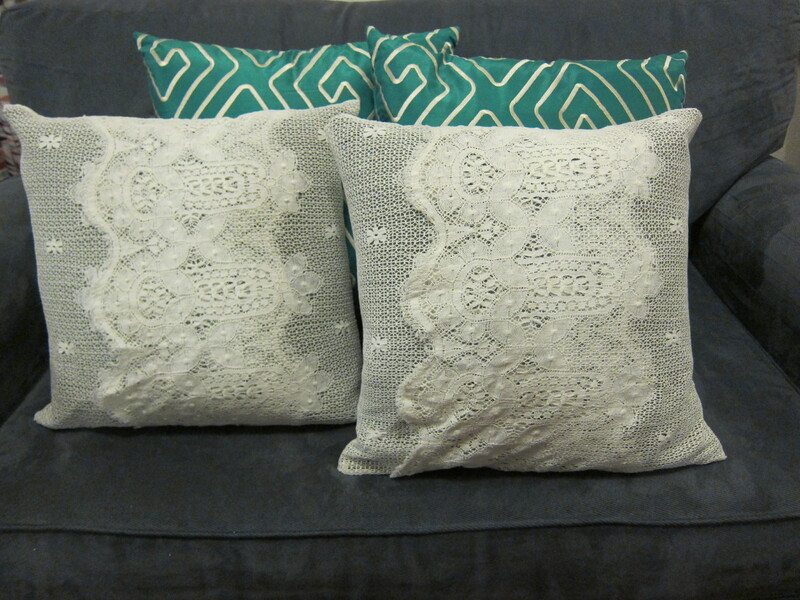 Two cuts and four seams later I had a couple of gorgeous throw pillows. This was a great way to liven up my living room without breaking the bank. I just used the pillows we already had! Lay out your curtain panel on the floor and place your pillow on top of it to measure how much fabric to cut. 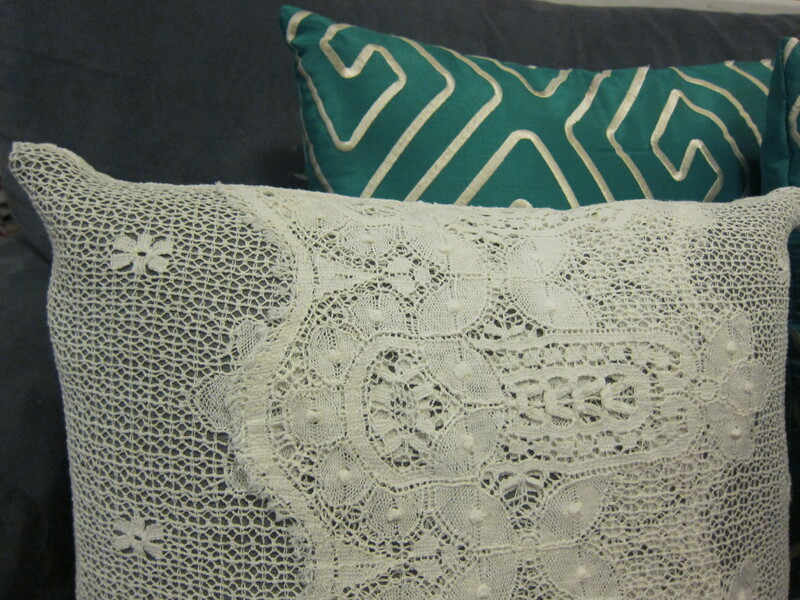 If you have a removable slip cover on the pillow already, then remove it and use the cover as a guide. Cut the curtain widthwise, leaving a half an inch of seam allowance on the top and bottom edge. 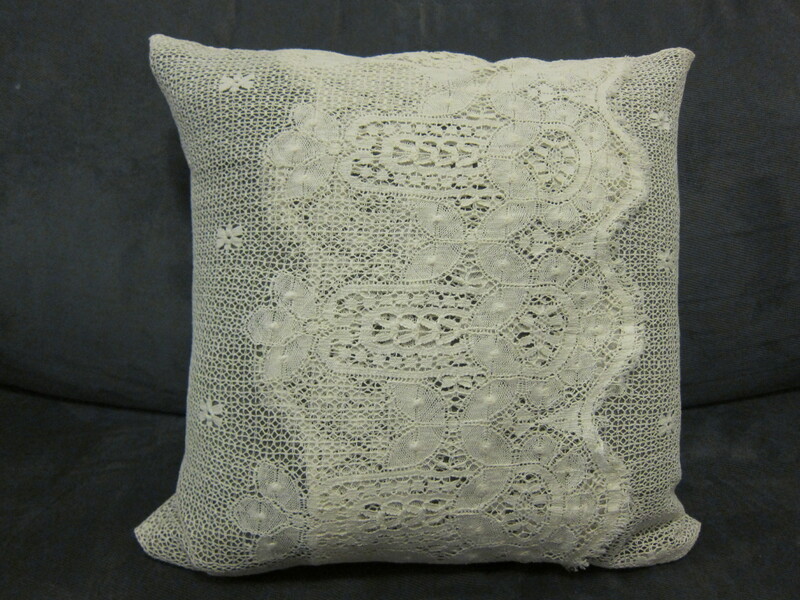 I made an envelope slip cover, but instead of the envelope being on the back side, like most throw pillows, it is on the front because the lace trim is already a finished edge and it looks so pretty overlapped. 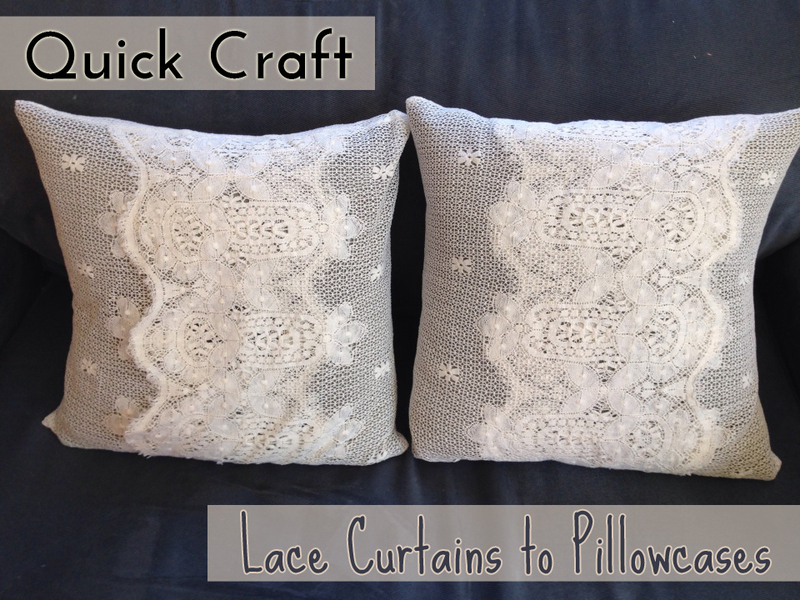 Lay your pillow on the long width of fabric and figure out how you want it to overlap. Fold one edge over the pillow and the other edge over. Mark where you folded and remove the pillow. Refold the lace and pin the raw edges in place. Sew across both edges. Turn right side out and stuff your pillow inside. That’s it! Repeat with second pillow. Lately I’ve been in purse limbo. My favorite one broke, my backup one isn’t the right size and I just can’t seem to find what I’m looking for. 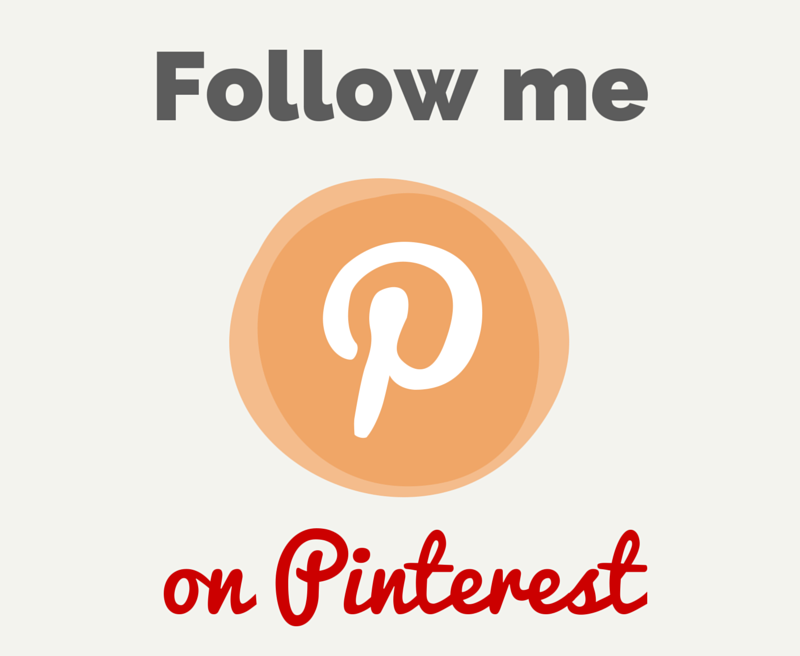 So I turned to my basic sewing skills and my frienemy Pinterest. I have this bad habit of inventing projects in my head before going to sleep. Next thing I know it’s four hours later and I’m still awake, thinking about my awesome idea. 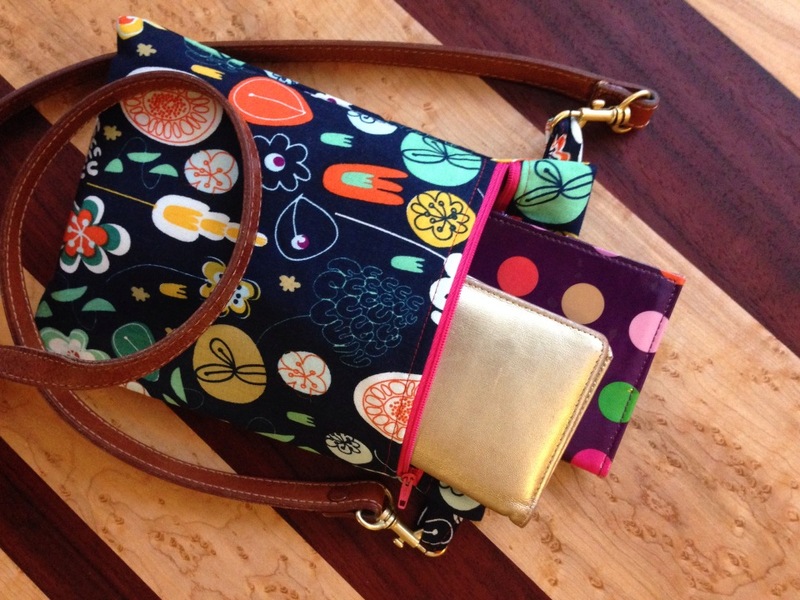 This idea came to me at night — why not make a simple zipper pouch but add a cross-body strap. 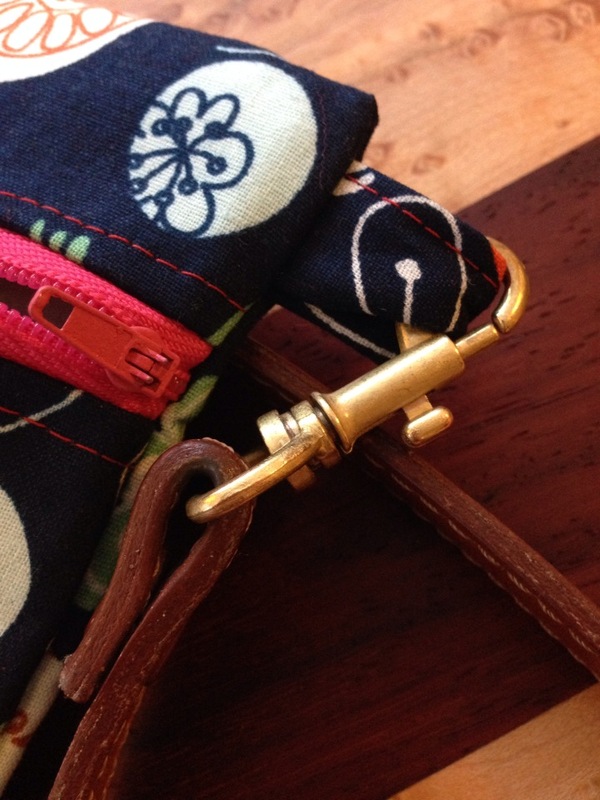 Better yet, why not take the detachable leather strap from my old purse and attach it to a simple zipper pouch? 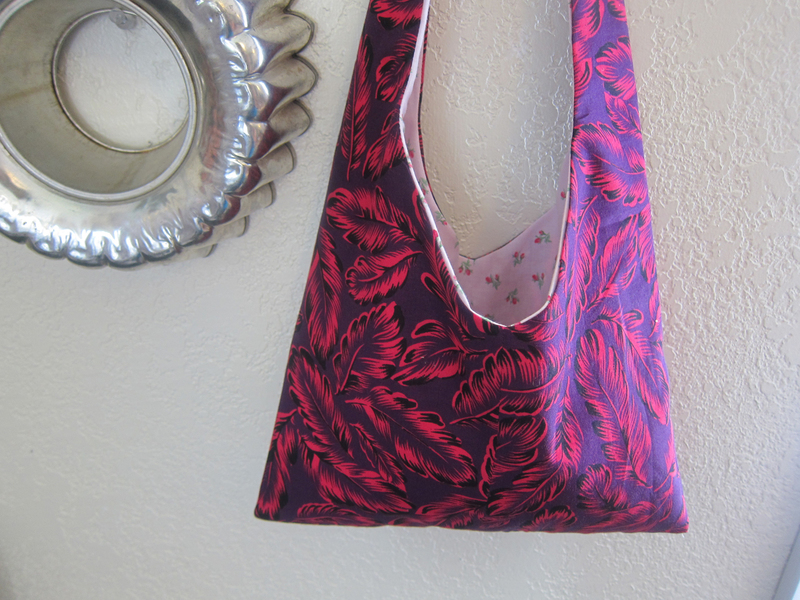 This purse is based on a terrific tutorial from Sew Me Happy. You can find it here. It’s very clearly explained, but the dimensions weren’t what I had in mind. For my own records (in case I want to make another one), I cut my fabric 8.5 x 9.5 inches. I also added some medium weight interfacing to the lining fabric. To add the detachable strap I just made a strip of exterior fabric 1.5 inches wide, added interfacing (keep the edges free of interfacing so it’s not too bulky), folded the edges toward the center, doubled it over, ironed, and sewed a strip. 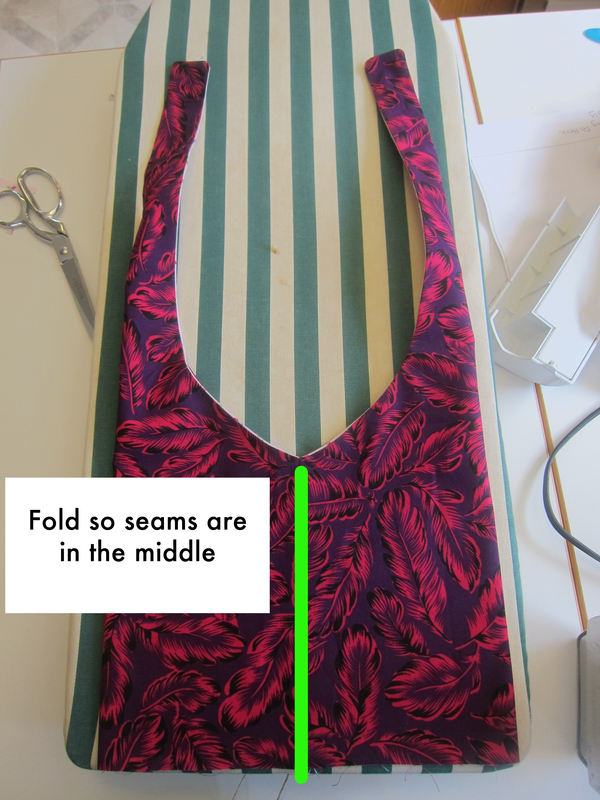 Then I cut two lengths that seemed like a good loop size, accommodating for the seam allowance and sewed two loops above the zipper, the way the tutorial instructs. Since this purse was just for myself and I have low personal standards, I didn’t mind that the directional fabric is going sideways inside or that the directional fabric is upside-down on the back of the exterior. What I do love is it fits my wallet, passport and sunglasses, it zips easily and it looks so dang attractive with a leather strap.